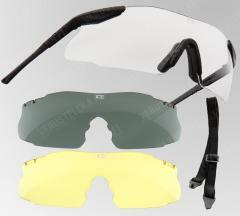 The ESS ICE 3 lightweight and roomy design is made to minimize fogging. 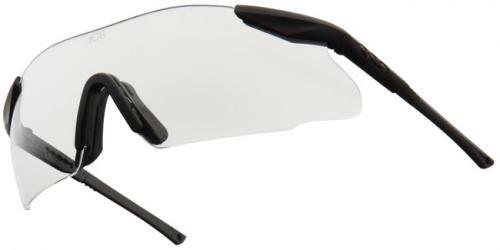 The open sides provide superior air flow, but when ventilation is obstructed or movement stops, the lenses might fog up. This can be prevented with Fogtech or Cat Crap anti-fog solutions. soft, zipped carry bag with belt loops.